Carphile.co.uk bring you behind the scenes, high speed video footage of Ariel’s new all-terrain sports car the Nomad, as it’s put through its paces in off-road testing prior to launch. 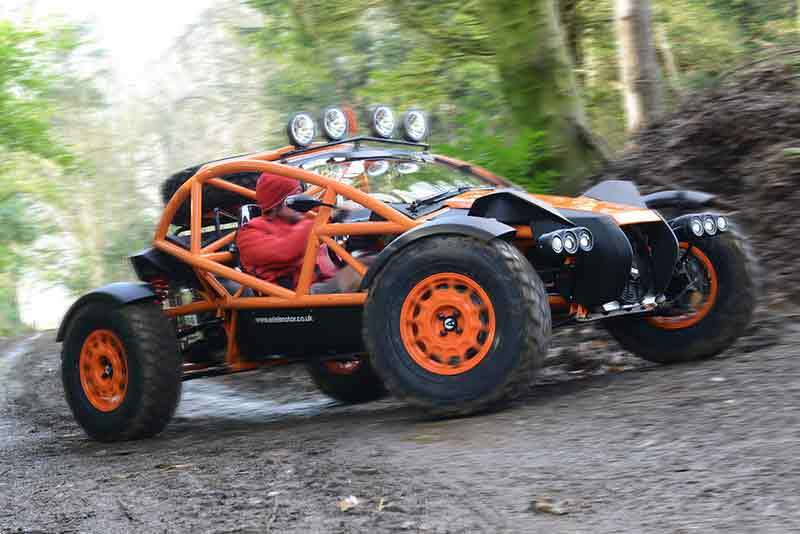 The Ariel Nomad is the Atom sports car’s ‘big and dirty’ brother and the answer to the question ‘just what would an ‘Atom with knobbly tyres be like? The Nomad has been designed in-house by Ariel in Somerset. The car shares the Atom’s lightweight perimeter space chassis and high performance purpose but outboard suspension, raised ground clearance, long travel dampers, damage resistant body panels and a whole host of off-road options mean the Nomad can venture to places most car owners couldn’t even consider. Like the Atom and Ace motorcycle, the Nomad uses Honda Power. Nestled in the back of the Nomad is the trusty Honda 2.4 litre, 4-cylinder Type R engine delivering 235bhp. As you’d expect from Ariel, the lightweight Nomad is no slouch, 0-60 is covered in just 3.5 seconds, with a top speed of 136mph.